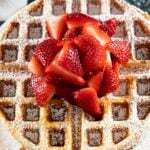 This Homemade Belgian Waffle Recipe is easy and makes delicious, authentic, Belgian waffles! These waffles are perfectly crisp and golden on the outside while being light and fluffy on the inside! 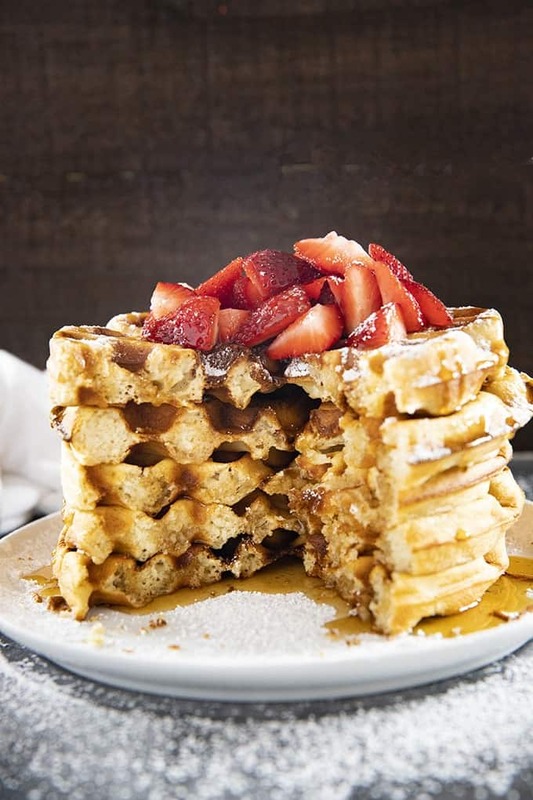 Waffles are a classic breakfast and brunch staple that have become so popular because of their amazing crispy golden exterior with deep pockets for holding syrup and butter! My family would have these waffles every single weekend, and in fact, sometimes I get up early on a weekday morning because I’m craving them! Everyone knows and loves getting waffles at their favorite breakfast restaurants, and they’re truly just as easy to make at home! Belgian waffles are similar to classic waffles, except that they have deeper pockets due to being made in a Belgian Waffle Maker. Belgian waffles are also very light and airy inside. Traditionally this was due to them being made with yeast. Generally today they are made with baking powder, like in my recipe. In order to keep the waffles light, we beat the egg whites separately from the yolks, then, fold them into the batter at the end. Because of the major texture difference, you cannot use pancake batter to make these waffles! In the picture below you can see how simple it is to make your Belgian waffle batter. First, you will whisk together your dry ingredients. Then, separate your egg whites from the yolks (example in the video right above our recipe card). Mix all of your wet ingredients except for the egg whites together and then combine them with the dry ingredients. Beat your egg whites in their bowl until stiff peaks form. Then, use a spatula to fold the egg whites into the batter. It’s ok if the batter is a bit lumpy, don’t over stir. 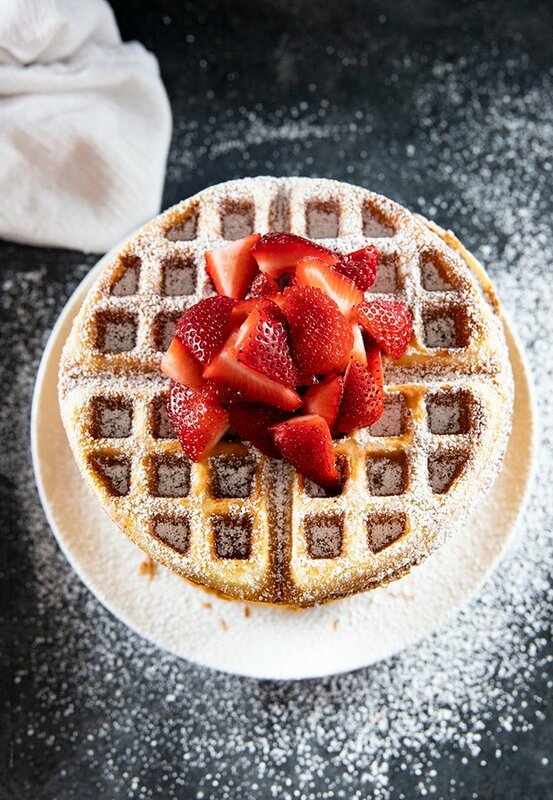 We like to serve our Belgian waffles with powdered sugar, syrup, sliced fruit, and sometimes whipped cream for topping! These waffles make a hearty breakfast on their own, but, they are also great with savory sides like scrambled eggs, breakfast sausage, or your favorite bacon! First, if you want to save some of these waffles for later I recommend only refrigerating them for a couple of days. Otherwise, you can freeze them in freezer safe bags for a few weeks. 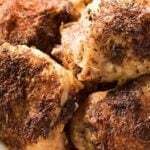 You will want to reheat them in the oven instead of the microwave to keep them nice and crispy! I recommend placing them right on the oven rack at 250 degrees for about ten minutes. Preheat your waffle iron, spray with non stick cooking spray and set aside. 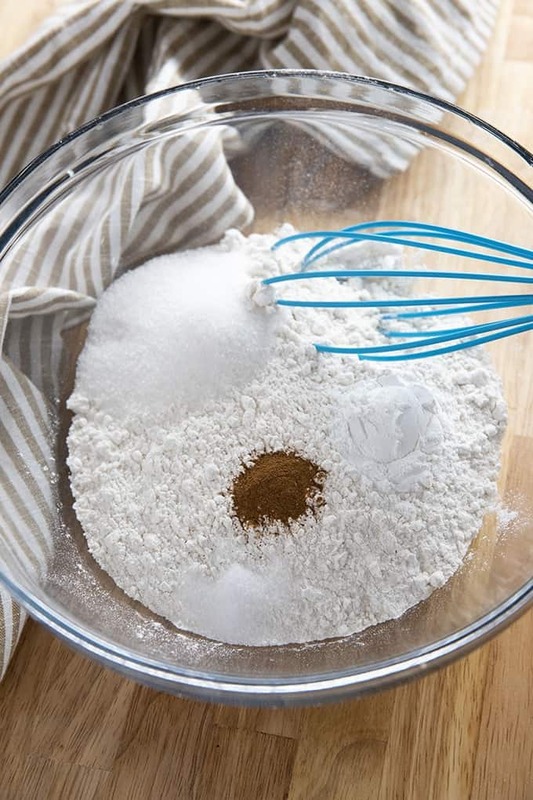 In a large bowl whisk together the flour, baking powder, sugar, salt, and cinnamon. 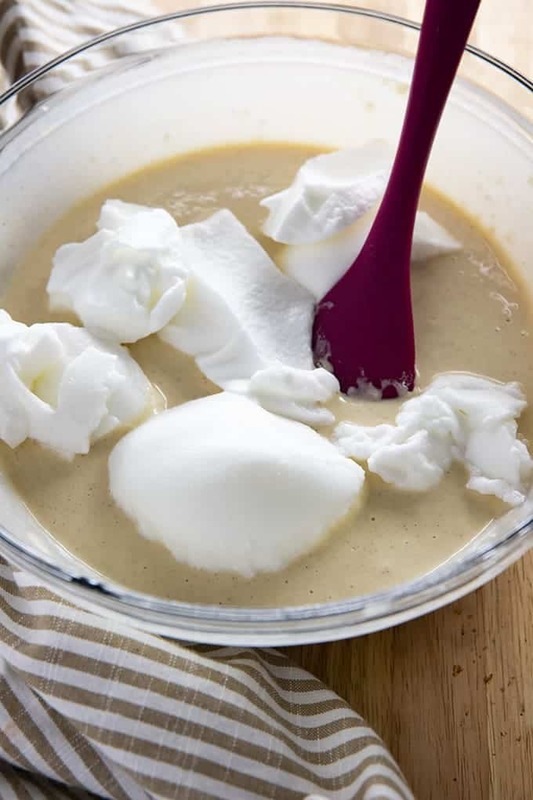 In a medium bowl beat the egg whites with a hand mixer until stiff peaks form. Set aside. 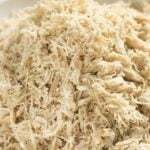 In a separate medium bowl mix together the egg yolks, vegetable oil, milk, and vanilla extract. Add the egg yolk mixture to the dry ingredients and mix well. Serve immediately with butter, syrup, powdered sugar or any other favorite toppings. **NOTE I have an Oster brand Belgian waffle iron. My iron takes about 3/4 cup of batter per waffle. I’ll agree, these are very good waffles and easy to make. I really like them, however, just because they have deep pockets doesn’t make them “authentic” at all. Authentic is definitely a yeast batter, not even a batter really, more like a dough with pearl sugar inside. You’d place the dough ball on your waffle maker and close it. Quite different. This recipe is very good but not really close to a waffle you’d find in Belgium other than the shape. 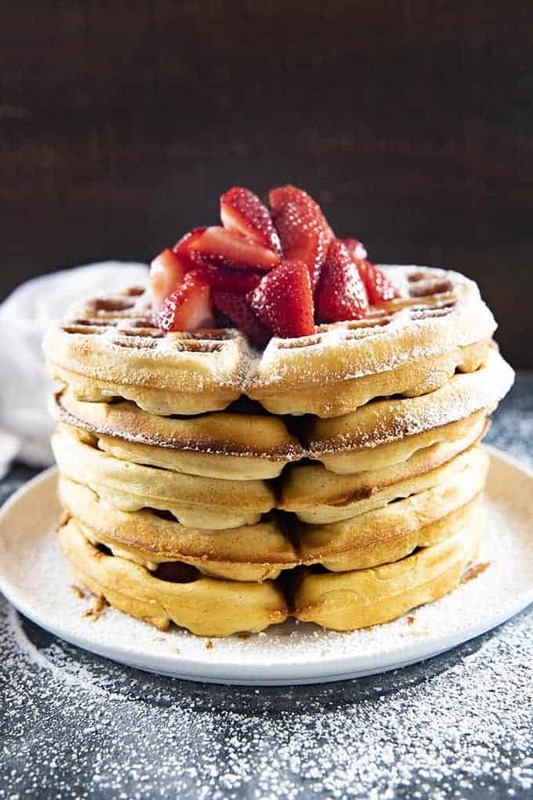 I have tried many waffle recipes, and this tops it! 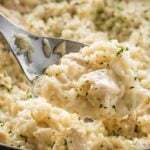 Thank you for the recipe and I will be making this at every meal! I made waffles before , but these are best ever. I did use a bourbon vanilla that added a great extra taste . This a keeper! Can I use regular waffle maker with this recipe, or do I have to use a Belgian Waffle Maker? I used bisquick from Costco for several yrs but when we move to EU, I couldn’t the same product and just not successful with the recipe. 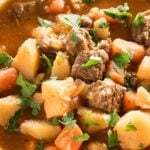 But today, I stumbled upon your recipe online and viola, I just found the right recipe I’ll be using forever. Thank you for sharing this recipe to the many. I omitted cinnamon but still turned out the best. Hi! I’m sorry, I haven’t tried this recipe with buttermilk so I can’t give you an accurate answer on that. You can use anything you want for the liquid. I’ve made them dairy free with both water and unsweetened coconut milk. I also like to sub 1/2 of the white sugar for brown sugar. This is the best reciepe i have ever used….. so many other recieps turn out with a heavy waffle…. these are very light inside and a wonderful crispness on the outside. I did however, use melted butter on the iron instead of spray…. Wonderful flavor. 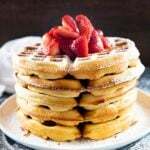 My kids love these waffles however I used maple extract instead of vanilla and it was delicious!! Fed a half dozen teens in the morning after a sleepover. Thank you!!! Happened to use skim milk and no complaints. Foodie hubby approved too! WOW, just wow! As a waffle critic, I have to tell you that these waffles are out of this world! They are thick and fluffy bundles of happiness! My brother, who doesn’t like waffles, devoured them! We have made the waffles more times than I can count! They are just absolutely amazing! One time, we even made the waffles for dinner! 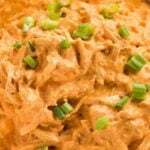 If you are hesitant to try the recipe, DO IT! It will be the best decision you have ever made! This is the very first time I have ever tried making homemade waffles rather than frozen toaster waffles. I bought myself a really nice Belgian waffle maker and wanted to find a recipe that looked suitably fancy to go with it. I’m so glad I put in the extra effort to whip the egg whites into foam…our waffles came out so perfectly airy and fluffy, and just the right shade of crispy brown on the outside. Some credit goes to the waffle iron, but a lot goes to this recipe too! My husband and I have become more particular foodies with age, and we were both super impressed. The 3 kids inhaled their waffles too. I’ve printed this recipe and it will be my go-to for sure! I made these exactly to the recipe but subbed melted butter for the oil. I was wondering if I wanted to save these for later should I refridgeorate the batter or just make the waffles and reheat them? I refrigerate leftover batter, and it works lovely. My kids and I love these. I really love making a batch and having two or three days of waffles. Perfect waffles! I’m partial to butter and waffles are a once in a while treat for our family, so I had no compunctions when I subbed in butter for the oil! Yum! I love how these waffles are not too sweet – I prefer being able to add sweetness afterwards to suit individual tastes. 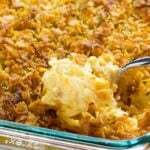 This recipe results in such a light texture with great crunch! Will probably try what another reviewer suggested, adding 1 Tbsp of sugar for extra crunch! Crispy on the outside. Delicious! I replaced a cup of AP flour with 1 cup of whole wheat pastry flour and my family loves it. I also use a mini waffle maker and 1/4 cup of mix per waffle. Makes 20 mini waffles. Yum! Amazing! But I recommend adding one egg, or two egg whites. ? Enjoyed these waffles. I have my Oma’s recipe from Germany and have made them with her… But the one I have printed does not specify ingredients amounts. This came the closest being fluffy inside and crispy outside. I Love the additional cinnamon put into this recipe. Will be saving and printing. Thank You! On another note…. I hear in Belgium they use something called Pearl Sugar instead of regular granulated cane sugar. Any thought?